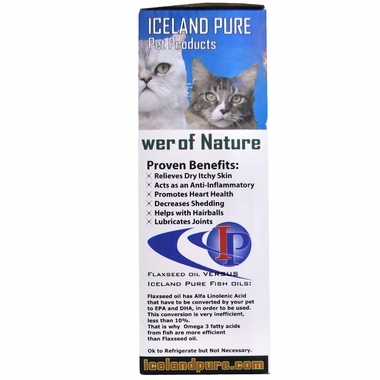 Iceland Pure Shark Liver Oil works to promote heart, skin, join and coat health in cats and dogs. Made from all natural oil that has been extracted from only non-endangered species of sharks, this oil includes compounds with a wide variety of health benefits. 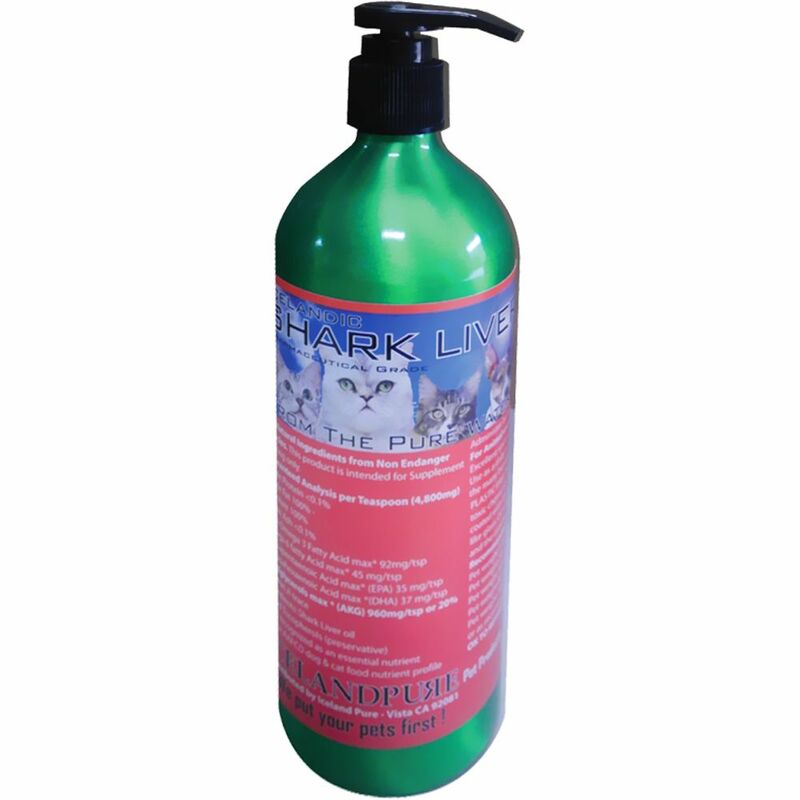 In addition to relieving dry itchy skin and reducing hairballs, this formula also lubricates joints and has anti-inflammatory properties. Iceland Pure Shark Liver Oil comes in a plastic-free bottle with a pre-measured pump for easy administration. This bottle contains 8.75 ounces of oil- but there is also a 17 ounce bottle available. Improve your pet's overall health by ordering this oil today! Ingredients: Shark liver oil, Mixed Tocopherols. 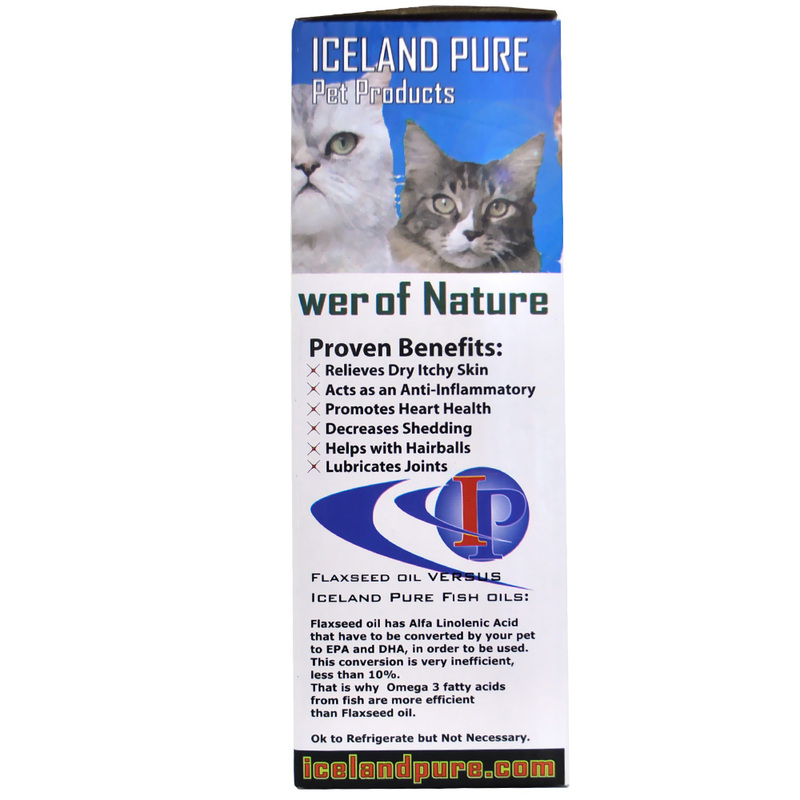 Why is important to add Iceland Pure Shark Liver oil to your pets diet, simply because cancer is a common occurrence these days. Studies have shown that Alkylglycerols will help to prevent cancer. Please see "the Research" tab to learn more about this incredible oil. 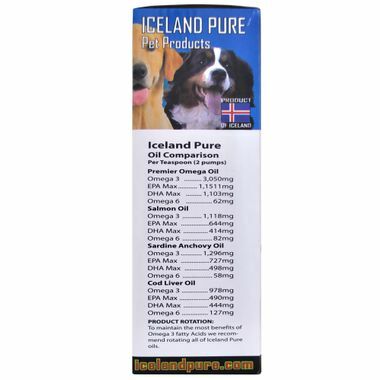 Is important to understand that Iceland Pure Shark Liver oil is to be used as an addition to our Iceland Pure Salmon oil, Sardine Anchovy oil or Premier Omega fish oil the reason is that the Omega 3 fatty acid in Shark Liver oil is very low in comparison to the mentioned oils thus to keep the many benefits of Omega 3 fatty Acids Iceland Pure Shark Liver oil is to be given in conjunction and not to substituted. Shark liver oil is promoted as a dietary supplement used to boost the immune system, fight off infections, heal wounds, and to treat cancer and lessen the side effects of conventional cancer treatment. Or as recommended by your Veterinarian.